Through her training to be a professional ballet dancer, her innate body awareness, self-study and several sustained injuries, Marije has developed a keen eye for precise and safe alignment of yoga postures. Her teaching style is understated and compassionate, with a focus on mindfulness. She has the ability to present complex concepts, and an in-depth knowledge of yogic anatomy and philosophy, in a simple and approachable way. Marije encourages her students to find their own yoga and to practice mindfulness in everything they do, thus cultivating non-judgmental self-observation that leads to inner peace, genuine happiness, and the discovery of who they truly are. In addition, Marije is a The Reconnection – Certified Practitioner, Practitioner Mentor and Teaching assistant with The Reconnection. After reading Eric Pearl’s book Heal Others, Heal Yourself, she found her inner knowing validated: healing is this simple. She felt called to learn how to offer this work to other people. She has been in practice since 2008. Truth be told, I didn’t like yoga when I first started. I had been home from work with work-related stress for several months. Someone had suggested I do yoga to help me relax. In the first class I took we only moved very slowly, and the furthest we got to standing was to sit upright. I didn’t see how this would be helpful, I still didn’t know how to relax, and I thought it all to be too esoteric. Yet, this class started at 5:30 pm, which was a great excuse to leave work at 5:00 pm once a week. In the big law firm where I worked at the time, leaving at 5:00 pm was the equivalent of taking the afternoon off. So this seemed a good practice in taking it “a little easier”. After a couple of weeks, I began to notice a shift. I did feel somewhat relaxed after the yoga class. At some point later, I actually looked forward to the class and the Wednesday nights turned into much appreciated – and needed – time for self-care. When I eventually left the firm to work at another one abroad, I started practicing yoga by myself. I noticed that I felt better when I did, even though I didn’t understand why. You may also enjoy reading this blog post. When I took my first yoga teacher training I had no intention of becoming a teacher. I was on sick leave with yet another burnout, and hoped that a month of yoga would help me get better. A year prior I had taken a yoga retreat on Bali, where I practiced yoga twice a day for a week. Neither my professional ballet training nor the harsh trainings as a member of the University rowing team had ever brought me in touch with my body the way that week of yoga did. I was surprised and in awe of the transformational power of yoga. My analytical brain wanted to learn more about – and understand – yoga, and I deemed that a yoga teacher training would be the perfect place to do that. I had underestimated, however, what the effect would be of a month-long full day yoga practice. Besides the thrill of learning new things, the exhaustion from the long days and being completely overwhelmed with information and experiences, I found something else. I discovered a piece of myself that I didn’t know – or perhaps had forgotten about. Once I stepped on the mat to teach a (practice) class, I felt as if I grew twice as big. The teaching came effortless. And I had fun; more fun than I had ever had in my 10 years of working as a corporate lawyer. Unintentionally I had found my Dharma. I suddenly knew what I wanted to do instead of practicing law that wasn’t serving my well-being. I was fortunate I could leave my law career to start a different type of practice. I moved from the Netherlands to the United States a few months after I graduated from that first teacher training, and started teaching classes soon thereafter. Teaching yoga is something I cannot not do. I’ve had the privilege of teaching hundreds of students all over the world. And as I keep being eager to learn more, many trainings have followed that first one. As much as I love practicing yoga, teaching and training is what makes my heart sing. As my teacher Sarah Powers once said: “It is better to understand without practicing, than to practice without understanding”. My goal is to understand a little more every day, and share my findings – and the benefits of my yoga practice – with anyone that crosses my path. I hope our paths will cross soon. 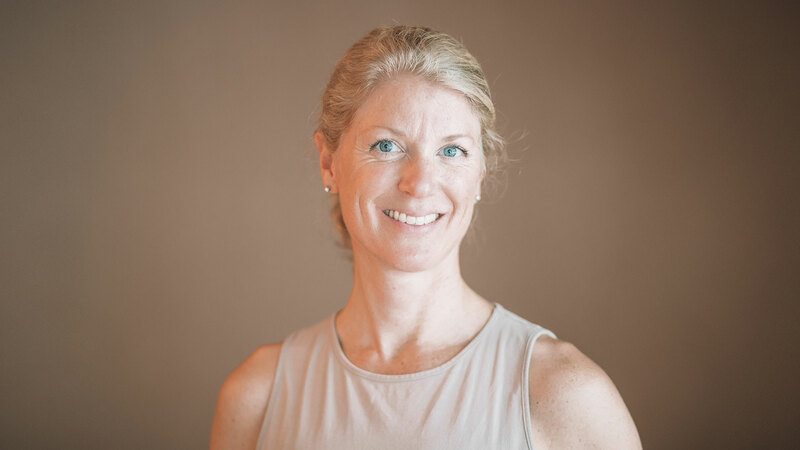 Marije received both her foundational and professional level yoga teacher certification at the renowned Kripalu Center for Yoga & Health in Massachusetts (USA), and is certified to teach Yin Yoga by Sarah Powers, as well as by Bernie Clark. She is now a faculty assistant and guest teacher at the Kripalu Center and an experienced yoga retreat leader.